What is the structure of the Milky Way’s disk, and how did it form? 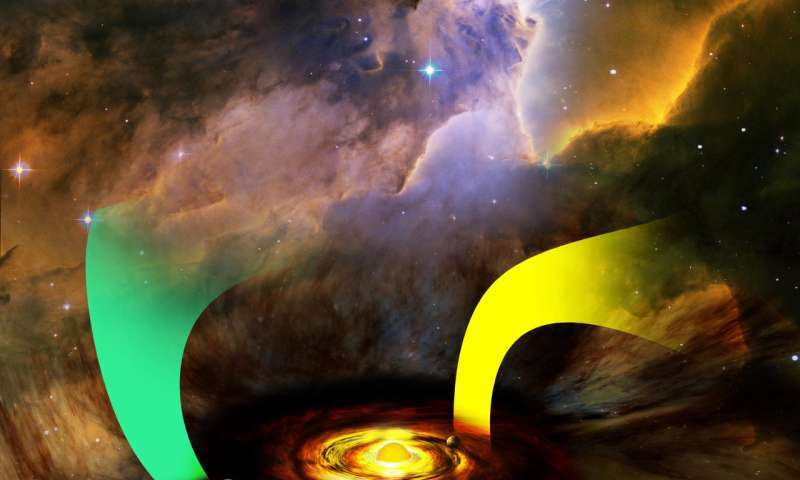 A new study uses giant stars to explore these questions. Spiral galaxies like ours are often observed to have disks consisting of two components: a thin disk that lies close to the galactic midplane, and a thick disk that extends above and below this. Past studies have suggested that the Milky Way’s disk hosts the same structure, but our position embedded in the Milky Way makes this difficult to confirm. 1. Stars in the thick disk formed within the Milky Way — either in situ or by migrating to their current locations. 2. Stars in the thick disk formed in satellite galaxies around the Milky Way and then accreted when the satellites were disrupted. Scientists Chengdong Li and Gang Zhao (NAO Chinese Academy of Sciences, University of Chinese Academy of Sciences) have now used observations of giant stars — which can be detected out to great distances due to their brightness — to trace the properties of the Milky Way’s thick disk and address the question of its origin. Li and Zhao used data from the Large Sky Area Multi-Object Fiber Spectroscopic Telescope (LAMOST) in China to examine a sample of 35,000 giant stars. The authors sorted these stars into different disk components — halo, thin disk, and thick disk — based on their kinematic properties, and then explored how the orbital and chemical properties of these stars differed in the different components. Li and Zhao found that the scale length for the thick disk is roughly the same as that of the thin disk (~3 kpc), i.e., both disk components extend out to the same radial distance. 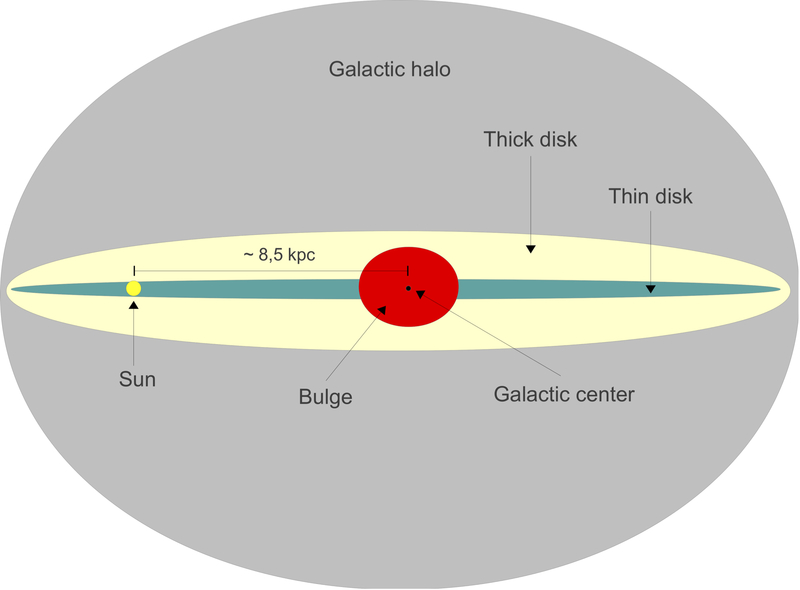 The scale height found for the thick disk is ~1 kpc, compared to the thin disk’s few hundred parsecs or so. The metallicity of the thick-disk stars is roughly constant with radius; this could be a consequence of radial migration of the stars within the disk, which blurs any metallicity distribution that might have once been there. 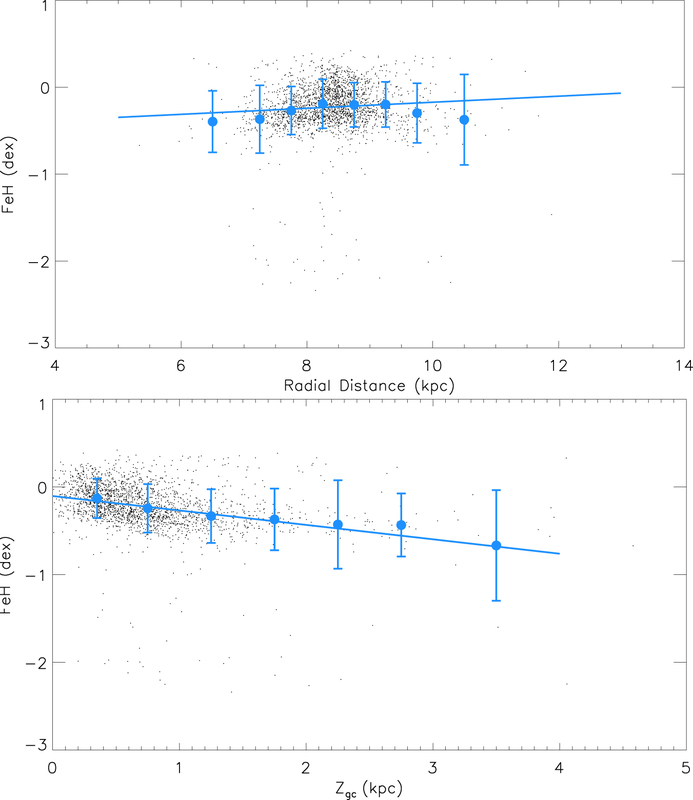 The metallicity of the stars decreases with distance above or below the galactic midplane, however — a result consistent with formation of the thick disk via heating or radial migration of stars formed within the galaxy. 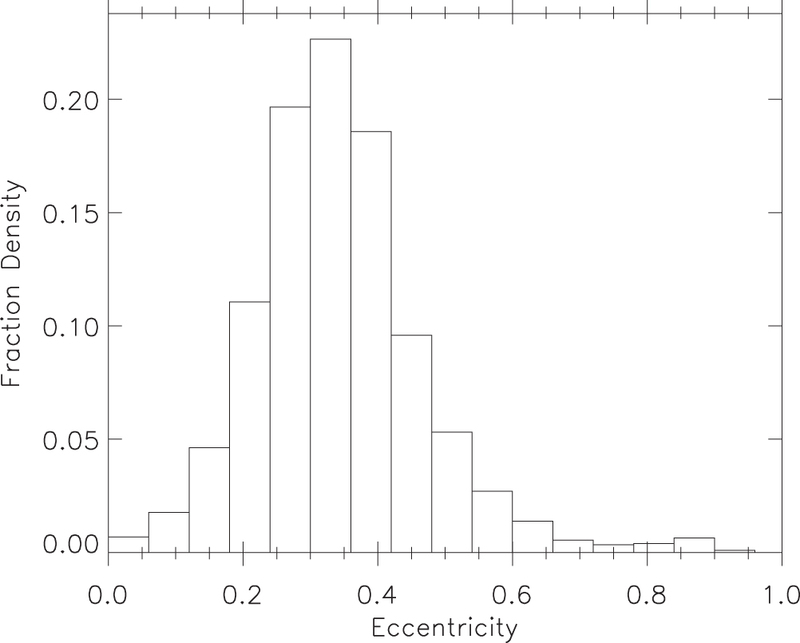 Further supporting these formation scenarios, the orbital eccentricities of the stars in the authors’ thick-disk sample indicate that they were born in the Milky Way, not accreted from disrupted satellites. The authors acknowledge that the findings in this study may still be influenced by selection effects resulting from our viewpoint within our galaxy. Nonetheless, this is interesting new data to add to our understanding of the structure and origins of the Milky Way’s disk.